November 29, 2000  Our Changing Face of America segment today explores the phenomenon of bands distributing their music over the worldwide web. We meet Jim Infantino, of the Boston band Jim's Big Ego. He takes us on a tour that starts with his thinking up a melody... and ends with a fully-produced rock tune going out over the Internet. 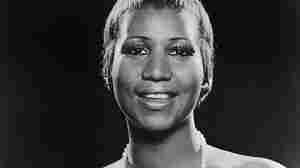 November 26, 2000  Aretha Franklin's anthem, written by Otis Redding, had a powerful effect on audiences everywhere. November 21, 2000  His latest CD is Dogmental, by the Andy Biskin Quintet. Biskin is also a composer. Biskin grew up in San Antonio, Texas and is now based in Manhattan. November 18, 2000  Countertenor David Daniels is performing in the title role of Rinaldo at the New York City Opera. He's making quite a name for himself, as all of the performances have been sold out. David D'Arcy has a profile. November 14, 2000  NPR's Elizabeth Blair reports on composer Aaron Copland, who would have been 100 years old today. Copland's music has become a symbol of Americana, but some details about his life remain little known. Copland was Jewish, homosexual, and often identified with the Communist Party. Some believe these affiliations made his music all the richer. November 7, 2000  On every Tuesday in the month of November, NPR's Special Correspondent Susan Stamberg examines how people cope with significant loss, and how they find a way to recover. In her first report, she talks with Leon Fleisher, one of America's premiere pianists, who lost the use of his right hand due to a repetitive motion injury. Instead of giving up music, he began teaching, conducting, and even played concerts featuring music written for just the left hand. Fleisher is now 72 years old, and has undergone numerous treatments to regain the use of his hand. His efforts have paid off, and now select audiences can again listen to this great pianist playing two handed works. October 23, 2000  Host Bob Edwards talks with musician Emmylou Harris about her latest album, Red Dirt Girl. The prolific artist has released 25 albums in 25 years, covering genres from pop to country. She plays songs from her newest release and discusses her childhood influences. October 17, 2000  Elysa Gardner reviews the new CD by The Wallflowers, Breach. The Wallflowers' front man in Jakob Dylan - son of Bob Dylan - and Gardner says that Jakob is a strong musical presence in his own right. (4:00) Breach, by The Wallflowers is on Interscope Records. October 17, 2000  Singer Songwriter Dion. He's just released a new record of doo-wop tunes Deja Nu (Collectables 2000). In the late 1950s, Dion and his band the Belmonts topped the chart with several pop hits, earning him the status of teen idol. Dion split amicably with the band in 1960 and continued to write Top 10 hits until the British Invasion changed the pop preference. Now, in his 50s, he continues to produce, write and sing new material. He lives in Boca Raton, Florida. October 14, 2000  Scott speaks with former host of NPR's Performance Today, Martin Goldsmith, about the life and times of Leonard Bernstein. Bernstein died ten years ago today, and the New York Philharmonic has released a 10-CD set commemorating the conductor/composer. 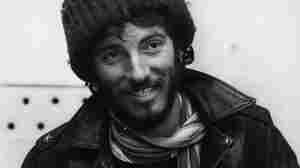 October 9, 2000  Bruce Springsteen's album Born to Run came out in 1975 to critical and popular acclaim.